The Ballston Area Community Center (BACC) provides essential community services, programs, support and projects to enhance the social, emotional and recreational development of youth and families of the Ballston Area. 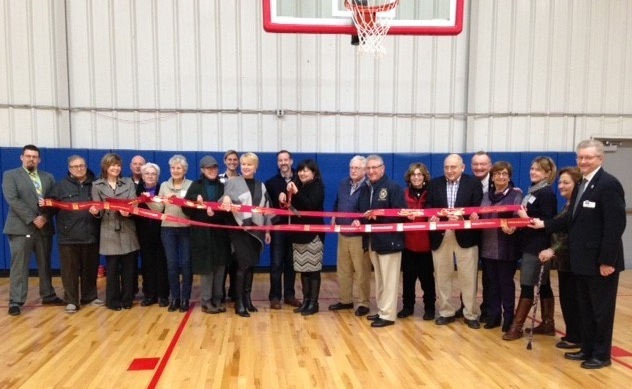 The BACC celebrated the refurbishment of their gymnasium along with the transfer of ownership of the property to BACC with a ribbon cutting ceremony. Pictured center is Executive Director, Kathi Leigh along with Ballston Area Community Center (BACC) board members; members of the Ballston Spa Business and Professional Association; Senator James Tedisco; Assemblywoman Mary Beth Walsh; Mayor of the Village of Ballston Spa, John P. Romano; Pete Bardunias, President/CEO of The Chamber of Southern Saratoga County; Chamber Ambassador, Richard Griesche of Catskill Hudson Bank and Lucas Fiedler of Frist New York Federal Credit Union, 2019 Ribbon Cutting Sponsor.